You are here: Home » How to Safely Try New Firefox Extensions? A friend emailed me last week saying that he liked my weekly Picks of the Week Firefox Extensions posts but he doesn’t actually try new ones, even if they sound interesting, for fear of breaking his perfectly working Firefox. That’s when it dawned on me that some of my readers might be thinking the same and may be afraid to try many of the wonderful extensions available. Firefox fans, it’s time to shed that fear! I am going to show a simple way to do this without breaking your current installation that a lot of advanced Firefox fans use. Buckle up. Why Should I try before I use? As Firefox extensions are developed individually by different developers, sometimes Firefox extensions doesn’t work well with another specific extension installed. Or, it could be just a poorly developed extension that breaks your pretty Firefox into a useless heap. You can easily do this easily with a less known feature in Firefox – Profiles. 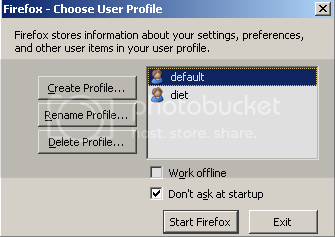 A profile in Firefox stores your set of preferences, settings, bookmarks, passwords, extensions, themes, etc. If you and your partner share a computer at home, you could have a profile for each of you. Your better half wouldn’t have to go through your bookmarks or put up with the dark theme you love or necessarily like all the GreaseMonkey scripts you use. Or, if you are like me you might use a profile loaded with all the webmaster extensions to get down and dirty and use a lightning fast profile stripped of most of the extensions for casual browsing. Setting up a test profile is very easy. (substitute ‘playbox’ with the name of your profile) and name it something like ‘Firefox Mean‘ and ‘Firefox Lean‘. You can also delete any old profiles right from here. You will need these 2 Firefox extensions to perform backup of your extensions and package them into a single extension file. Install FEBE – Firefox Environment Backup Extension Firefox extension is used to create backups of everything about your Firefox profile – the whole profile or custom parts of your profile. You can also schedule daily backups so you never lose your settings or extensions or profiles. Install CLEO – Compact Library Extension Organizer Firefox extension helps packaging your desired extensions backed up using FEBE into a one single installable extension (.xpi) file. It doesn’t matter if you use multiple profiles or not, it is always a good idea to backup Firefox environment with FEBE. FEBE backups are very customizable. Open Tools -> FEBE -> FEBE Options in Firefox and choose either ‘Selective’ or ‘Full Profile’ option. Choose the directory you want to backup to. I recommend using ‘timestamped directories’ as this might help you troubleshoot if you have problems due to new extensions or any customizations you might be doing. Schedule your daily backup or you could use the ‘Perform Backup’ from FEBE menu. You can individually ‘Restore’ extensions from your backup directory using FEBE to a different profile. But, using CLEO you can create a custom .xpi file with extensions you choose from your backup destination and install in a different profile or even a different computer in one shot. This is a great way to keep your Firefox extensions the same across your laptop, desktop and work computers. 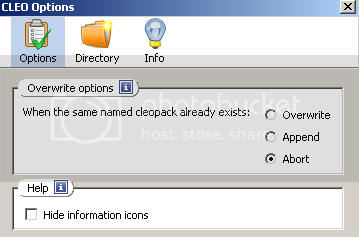 Open Tools -> FEBE -> CLEO -> CLEO Options in Firefox menu and set the destination directory for your cleopack (installable .xpi file). Choose ‘Create cleopack’ and enter a name. Use ‘Select items to package’ to pick and choose the extensions you want to package. We are almost done! I promise. Accept to install the extension. Restart Firefox and you are done! Even if you are not crazy about creating new Firefox profiles, FEBE/CLEO is a powerful combination to use for backups and synchronizing everything about Firefox between computers. Visit Mozilla’s help page for more information on Firefox Profiles. I said lookout for a short tip in my last post but after I started writing this, I figured even if some of you might be familiar with Profiles,etc. it might help other readers utilize Firefox to its fullest potential. Do you use Firefox Profiles? Is there a better way to achieve the same thing that I am not aware of? Or sound off here if I didn’t make the steps clear as mud and I’ll try to help you out. Thanks for the appreciation, glad that you liked it. Now that you’ve written this post I guess I can try all the plugins you mentioned haha. This should be fun. Mark.. Let me know if you have any qyestions. Once you set up a scheduled backup with FEBE, you will never look back or worry about installing a new extension. Thanks for the useful information. Personally I don’t feel the need to take too many precautions as long as the plug-in is on the mozilla site and has a reasonable number of satisfied users. it does not need to take too many precautions as long as the plug-in is on the mozilla site and has a reasonable number of satisfied users.